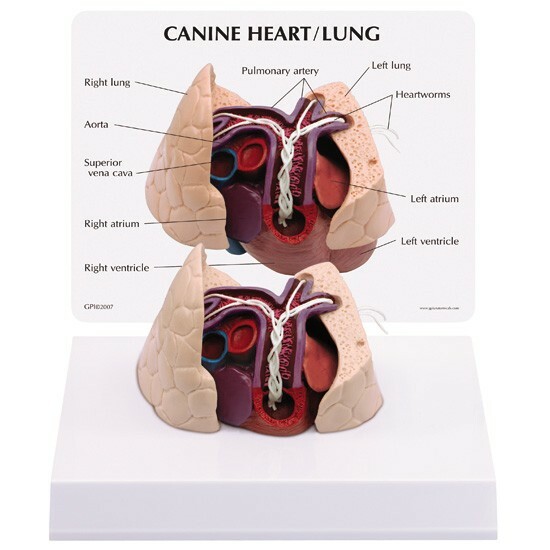 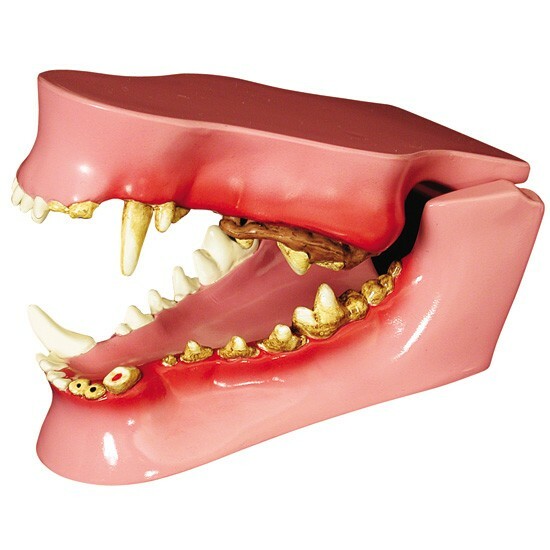 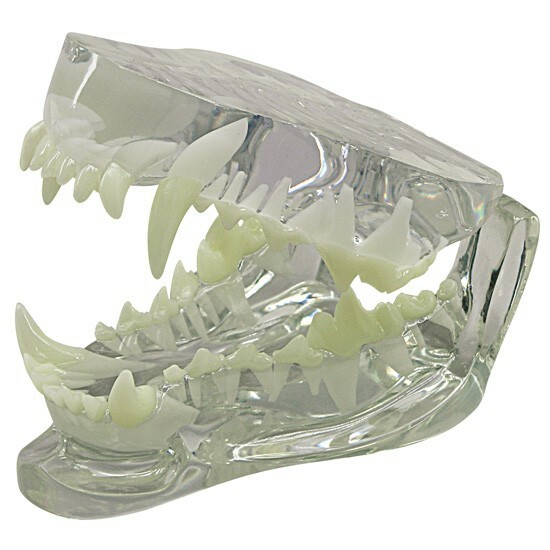 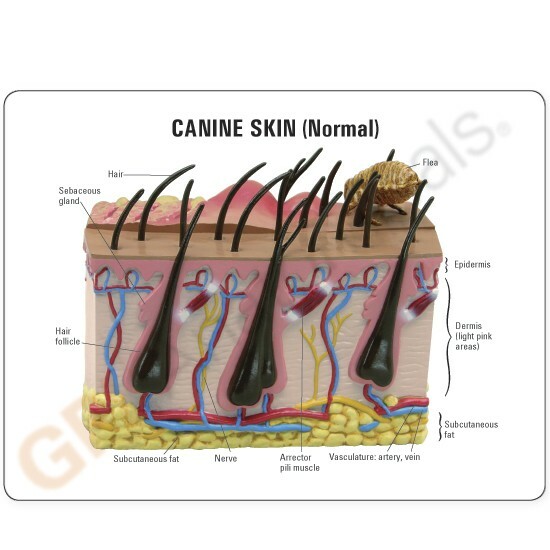 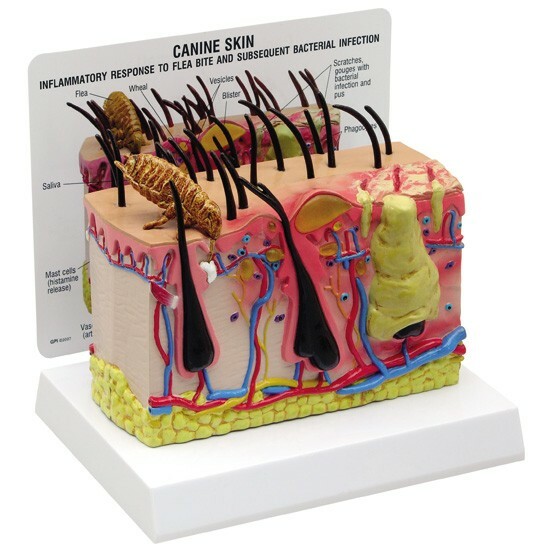 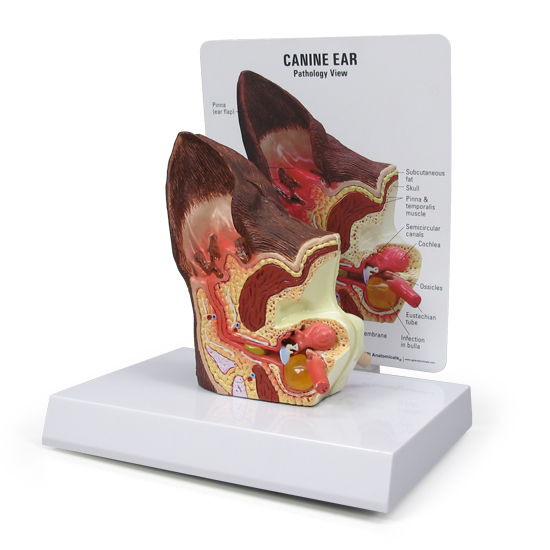 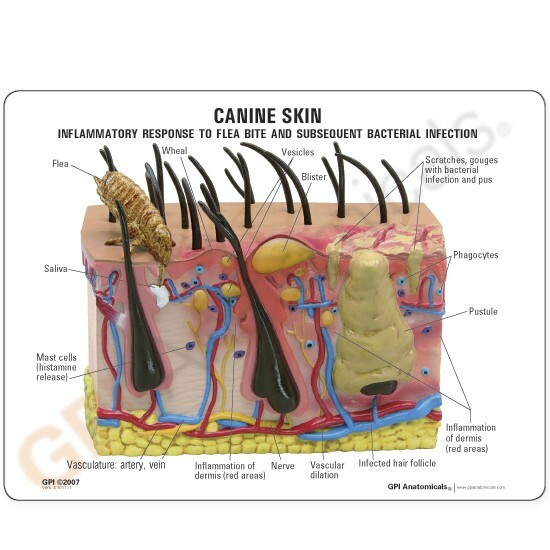 Canine skin model features an enlarged cross-section of canine skin. 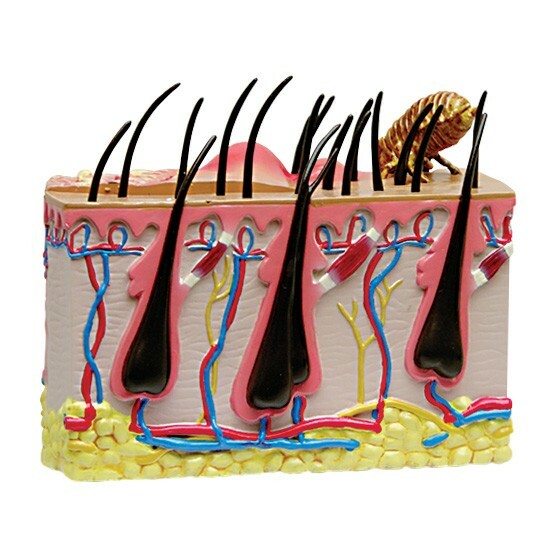 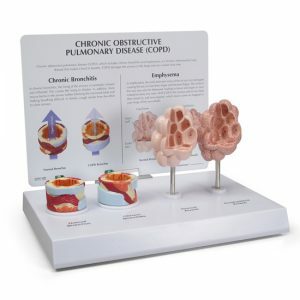 One side features normal skin anatomy extending from the epidermis down to the layer of subcutaneous fat. 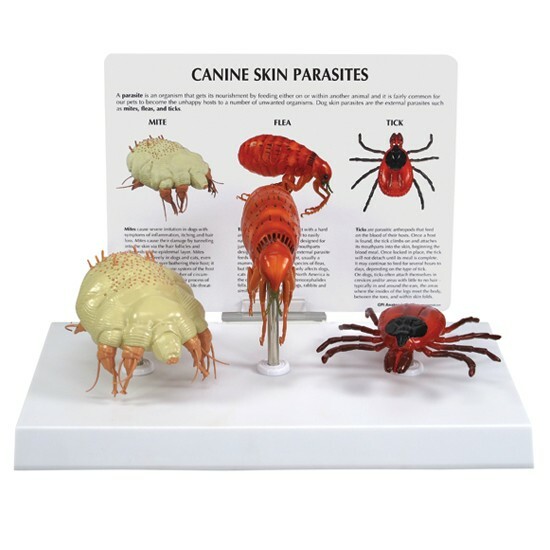 The reverse side demonstrates the progressing changes of a flea bite from wheal to infected pustule.